Saved from newjapan1972.com. All Rights to New Japan. Chris & Kevin are back after their holiday vacation from podcasting. They’ve got a lot on their plate including the ongoing saga involving Daniel Bryan, Shane McMahon, Sami Zayn, Kevin Owens and AJ Styles. Will Bryan ever be cleared to get back into a WWE ring? If the answer is no, where is this feud headed? How long has Shane been tangled up with Owens? Is the dyed in wool baby face Zayn doing well as a heel? They guys move along to talking about the women’s division. Will Charlotte have a challenger for her Championship for the Royal Rumble? Has Liv Morgan improved her in ring work since being called out online? How does the division change with the return of Becky Lynch? On the Raw side of the coin, why did Asuka already get a shot at Alexa Bliss? Have the remainder of the women of Raw just been tossed into the “Wait Until The Rumble” mode? Chris & Kevin also got around to talking about the bustling tag team divisions on both shows. Why have the Usos gotten trounced twice by Chad Gable & Shelton Benjamin? Why aren’t they winning with heel tactics since they made The Usos baby faces? Would the New Day be more interesting if Xavier Woods was the US Champion? Is Jason Jordan finally showing some personality now that he’s teaming with Seth Rollins? Why did Cesaro do a promo without his mouth guard in? Chris & Kevin wrapped up the show by talking about the upcoming New Japan Wrestle Kingdom 12. Will it be as good as it has been the past few years? 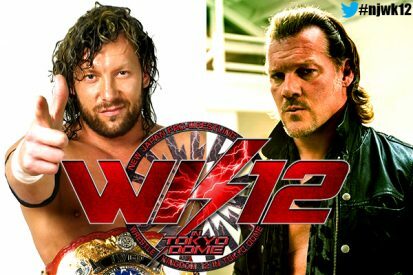 Will Chris Jericho & Kenny Omega steal the show? Will Okada be able to defeat Naito? Who’s waking up early to watch?